Microsoft today finally released the first new reborn version of its Edge browser that the company rebuilds from scratch using Chromium engine, the same open-source web rendering engine that powers Google’s Chrome browser. 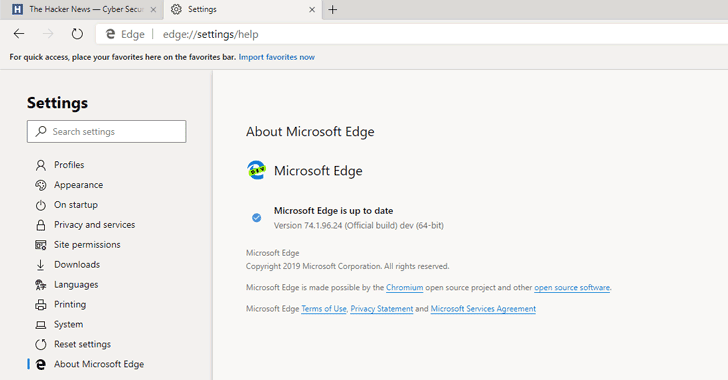 However, the Chromium-based Edge browser builds haven’t yet entered the stable or even the beta release; instead, Microsoft has released two testing-purpose preview builds for developers. 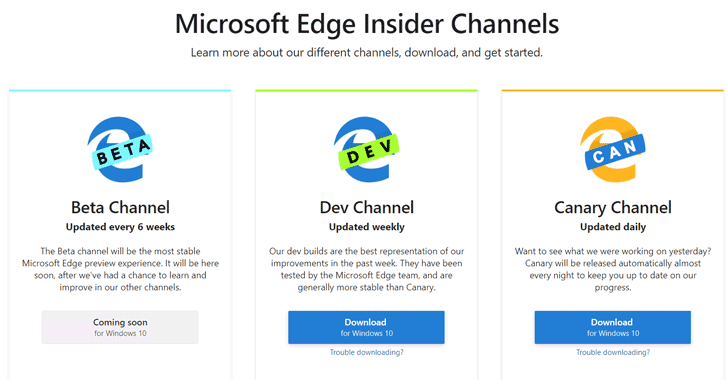 Both previews build—“Canary” that will be updated daily, and “Developer” that will be updated every week—are now available for download from the Microsoft’s new Edge insider website. Both the browsers can be installed alongside the old Edge and each other for testing. 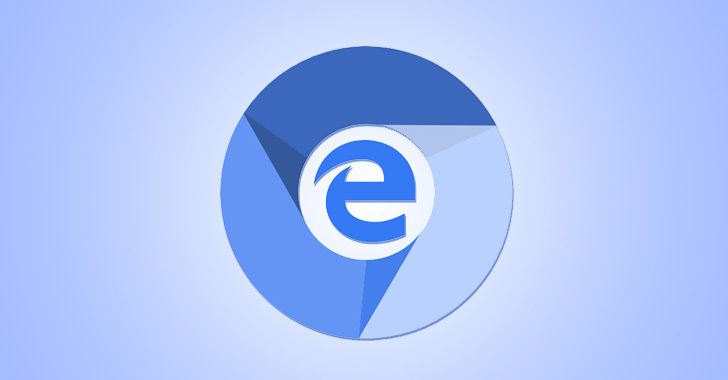 Currently, the Chromium-based Edge browser test builds are only available for 64-bit Windows 10, though the company promises to release builds for Windows 7, 8.1, Apple’s macOS and other channels, like Beta and Stable in the future. The new Edge browser also supports extensions from both Microsoft’s own and Google Chrome extension stores. Microsoft tried to reclaim its browser power by releasing the modernized Edge browser over three years ago, but despite substantial investment and continuous improvements, the software giant miserably failed to compete against Google Chrome. So, in late December, Microsoft announced its plan to rebuild Edge using the Blink rendering engine used by Chromium, instead of its EdgeHTML engine. Chromium is an open-source Web browser project run by Google that’s popular among web browser developers and also powers a number of third-party browsers including Vivaldi, Opera, Brave, and Samsung Internet. If you are unaware, Microsoft has been working with Google to help push Chromium forward. The company is already using the Chromium rendering engine for its Edge browser on Android and iOS devices. Microsoft also has plans to “work with the larger Chromium open source community to create better web compatibility for our customers and less fragmentation of the web for all web developers,” said Joe Belfiore, Microsoft’s corporate vice president for Windows.